Race, ethnicity, religion, and national origin. Age, gender, and gender expression. Sexual orientation and social identity. Disability, education, life experience/veteran status, and ways of thinking. 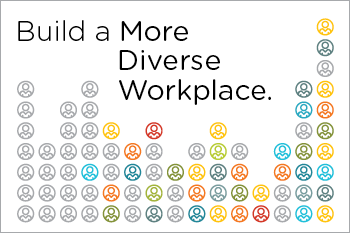 Making diversity a cornerstone of your recruiting efforts makes good sense. Unfortunately, most organizations—95% of them—are failing to achieve their diversity goals. Learn how a new generation of tools can help you can make a difference when you’re searching for a diverse candidate pool and sourcing new talent.